I definitely put the low-light capability of my Fuji X100T to the test with this image. And what’s even more fun? This is a 3-photo merge: In landscape orientation, I shot from the ceiling to the aisle and merged the three images in Photoshop. Do click on the image to see it enlarged in all its glory. I continue to be amazed by this wonderful little camera! 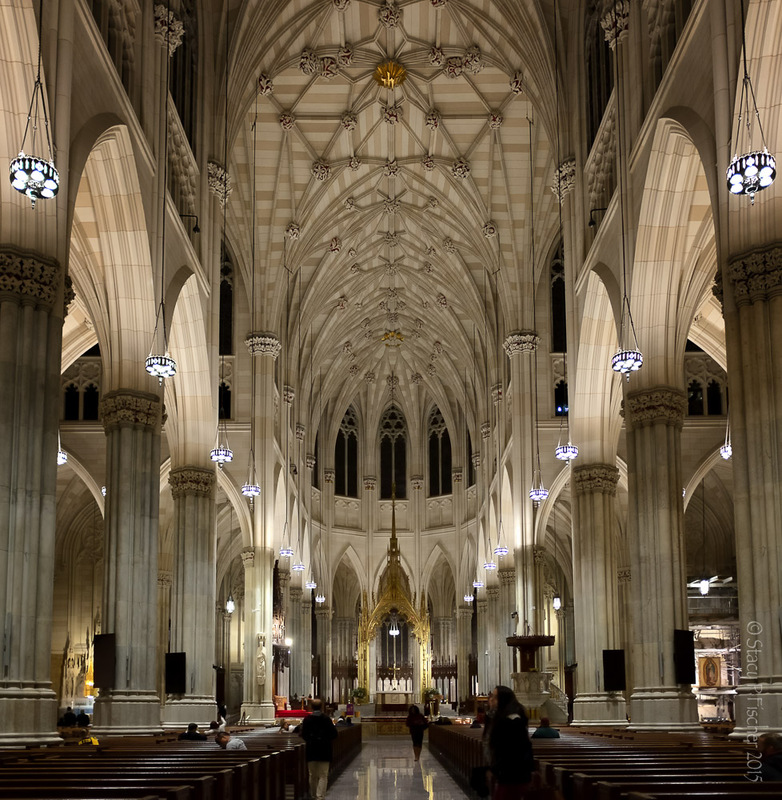 This entry was posted in Architecture, New York City, Places and tagged cathedral, church, Fuji X100T, interior, photography, postaday. Bookmark the permalink. I have no clue how to do a photomerge, you certainly have managed it beautifully! Thanks, Laurie. I’ll let you in on a secret – it’s easy 🙂 Photoshop does most of the heavy lifting! You’ve certainly done the beautiful hall justice. Beautiful, sharp detail and perfect light. A bit of post-processing didn’t hurt 😉 Thanks, Lisa. I’m really getting tired of having to come up with superlatives for your photography. But I never get tired of having my name mentioned by you. So now that you’ve answered my question, I hope I can get something as good as you always seem to. This is beautiful! No superlatives necessary, Emilio. Just leave a smiley face if you’d prefer (or a thumbs down if that’s more appropriate! )😄 Have fun with the T1 (and FYI, I found that one less intuitive than the 100T – just saying). And, by the way, where are you going?? As a catholic, this image is particularly moving for me. It is technically perfect and spiritually uplifting. I kind of want to cry right now its so beautiful! Oh, Claire, I haven’t had the opportunity of time to reply yet to the comments I’ve been receiving, but I just had to jump in and reply to yours. Thank you for uplifting my spirits with your incredibly generous and heartfelt message. I appreciate it so very much. I love these old churches! Stunning image and architecture! Thanks, Raewyn. I’m so glad we were there in the evening. Just lends another whole wonderful dimension to the interior. An amazing little camera for sure Stacy but always super impressed at what you manage to do with it. Love the creamy dreaminess of this shot! Awww, thanks, Patti. But if the camera wasn’t so fun and so intuitive, I might be struggling to get these shots! Wow wow and wow!! Exceptional image, Stacy! You ought to be really proud of yourself for accomplishing this. I have a panorama feature on my new phone I just bought which totally blows me away. What some of these cameras can do is totally amazing!!! Thanks, AmyRose! I think I’m finally getting the hang of photomerging 😀 Though, I must say, Photoshop (or Lightroom) really does all the work. And I know what you mean about the capabilities of phones! Yup, there’s just something about a DSLR that’s hard to ignore 🙂 Have fun, Amy!! It’s definitely a gorgeous church, Mary. And it was wonderful to see it at night when it was not jam-packed with visitors! Thanks, Laura. It’s a spectacular place! Lovely image, Stacy. 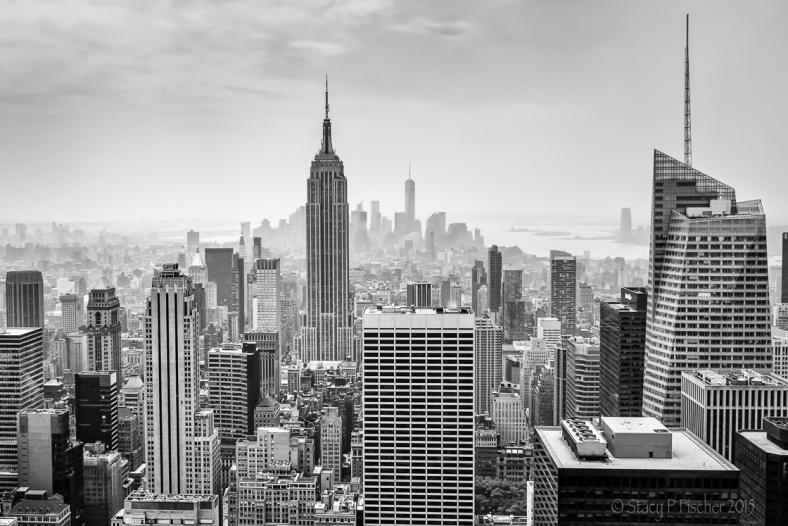 You are getting quite a portfolio of NYC images. And a photomerge to boot! Excellent! !